I did the NYC half Marathon earlier this year. Right afterwards, I gave myself a “well-deserved” break from working out that lasted two weeks. Looking back now, I don’t think that was such a good idea. I think I could have taken a break for a day or two, but no more, because that two week break stretched into months and now we are in November and looking back I can see that I totally fell off. I have gained back 15 of the 25 pounds I lost, a few unwelcome health issues have resurfaced, and I cannot see myself running what used to be my usual 3 miles talk less of a half marathon. So….it’s time to get back in the saddle. Early on this fine Sunday morning, I took myself to the gym. I did 20 minutes on the treadmill and ended with some weight training. It was a quick and simple start, so as not to overdo it, and I have to tell you, it felt SO good. I honestly LOVE working out. I asked myself how could I possibly have stopped doing this??? No matter what is going on in life, no matter how tired I may be, no matter what “legitimate” excuses may continue to present themselves, Working out has GOT to become a NON-NEGOTIABLE in my life!!! The reason I fell off is just the usual, age old, plain and simple lack of discipline, but the reason I could allow that to happen, was because of another favorite subject matter of mine: Goals! With the race behind me, I no longer had a goal to work towards. And apparently, the exhilaration that working out elicits was not a strong enough goal to keep me going. Shame! So I need a new goal. But the point is, my ultimate goal is a complete life style change. I don’t only want to run and work out when I am preparing for a race, I want to be living that healthful life style ALL the time. Like I said, I want working out to be non-negotiable. So how do you set that as a goal? It is so big, so vague, so “forever”. And we know that Goals have to have a specific time line and be measurable. So how do I set a goal like that? I have mentioned this in an earlier blog post: Chunking! Break the big goal down into little bits – bite sizes – Chunks! So here is my new goal. I am going gently ease myself back into the working out healthy life style over the next 30 days. And all I have to aim for is to commit to work out for a minimum of 30 minutes, a minimum of three times a week. 30 minutes 3 times a week. It can’t get more chuck sized than that. I am not getting into details of how much weight I need to lose, what and what I need to eat…or not, how many pounds I need to be lifting, what speed I need to be running or how many miles. All that will come later. 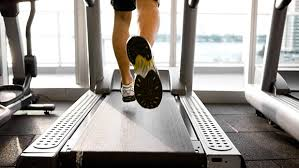 (And probably sooner since I am not a total rookie to this stuff – you can always adjust as you go) For now, all I need to do, is know that I am making a decision, I am making a commitment and I will work out 30 minutes, 3 times a week. And the wonderful thing about the mind is that, once the decision is made, and action is taken, the feelings begin to follow, and once that happens, the mind continues in this direction and before long, you know that you know that you are achieving your goal, even before you actually see it. And soon enough, you WILL succeed and your goal will be yours. If you would like to, you are welcome to follow or join me on my month- long quest. Send me a private message and let’s make it happen. This entry was posted in Uncategorized on November 10, 2014 by The Woman Hood. Months went by. I attended every meeting, actively participated in every teleconference, bought leads and called them diligently and even traveled to Orlando for our convention. I was with that company for about two years before the company changed names and leadership and I left. I never made a sale, I never made a dime. And I had invested so much money, that I actually had to consolidate my credit. One of the biggest lessons, I learned from that experience, was that you have to be a product of the product. Sure, we all get into business because we would like to earn a little more than our usual paycheck, but if all you are thinking about is the money, chances are…you are not going to make any. You need to be able to explain why your product is useful. Not in a sleazy salesman kind of way, but honestly. And the only way you can do that is to use the product yourself. Personally, I don’t believe in representing anything I do not believe it myself. For one thing, I am a terrible sales person. I need to really know what I am talking about and really believe in it and then I don’t need to do any convincing at all. I am just naturally excited about it. I believed in the product my company was selling, but I had never ‘experienced’ it. So when I told people about it. I would try to rush over the details and get to the money part as quickly as possible. But I felt weird about the money too, because I was not totally convinced it was worth it since I had not experienced it. In short, I sounded dishonest. Many of us shy away from business because we are afraid to “sell”….but it’s not that daunting when all you are really doing is telling people about a great product YOU use, YOU trust and YOU believe in. You do that every day anyway. So, if you are already in the business, make sure you know what it is you are representing. Take a look around your websites and Product Pages, USE the product, do you love it? You need to be your best customer. You need to be a product of the product!! This entry was posted in Uncategorized on October 22, 2014 by The Woman Hood. Much as we may not want to admit it, the countdown to the end of the year is definitely on. Halloween is round the corner, the Turkey is close behind and Santa is servicing his sled as we speak. So…how do you feel about 2014? 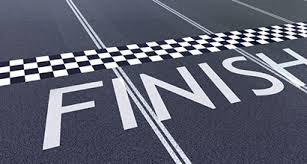 Have you achieved all you set out to at the beginning of the year? Do you feel any level of accomplishment? If my questions are making you feel a little unfulfilled because you feel like you could have accomplished more, don’t beat yourself up! Two things; 1) forgive and accept yourself and determine that you will do better going forward and 2) With two full months left, it is not too late to set and achieve a goal. 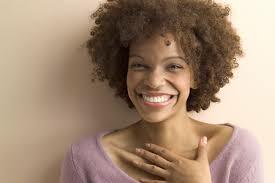 It usually takes about 30 days to establish a habit, so there is still plenty of time. 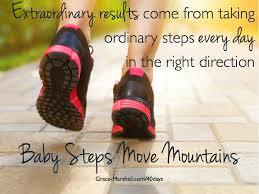 It all starts with the most important step of all – Making the decision to do make a change! Make a decision, set a goal, read my post on forming habits, get going and SUCCEED! 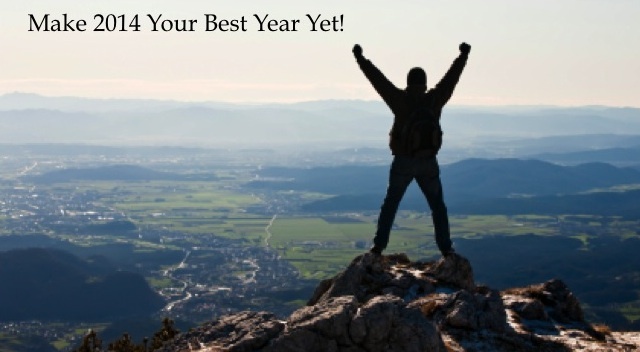 2014 can still be your best year ever! This entry was posted in Uncategorized on October 21, 2014 by The Woman Hood. I find it most annoying that in this day and age women are still being treated as less equal citizens than men. John Oliver had a great feature on this matter on his show “Last Week Tonight” recently. Even though they claim the gap is smaller than it used to be, the point is, it still exists. So we women should fight this, right? Get into those Corporations and demand our rights! That is one way to go about it! We could take our protest to government, many of whom preach but do not practice gender equality. But I have an action plan of my own! I say, let’s show them how it’s done! Let’s set ourselves up in businesses that fuel our passions, give us the time freedom to be career woman AND moms, and make the same kind of money if not more than our male counterparts. I am not saying that our focus should be outdoing the men. That does not have to be the goal. That is just something that may happen naturally when we follow our bliss and what matters to us. 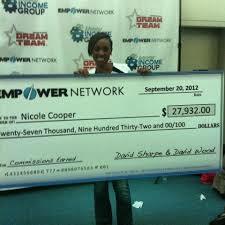 I could name numerous mentors in the Empower Network who are making this happen right now. They are not punching the clock, they are not asking their supervisor if they can stay home because Tommy has a cold or if they could leave early because Sarah gets out of school early that day. They are not rushing home in an insanely crowded commute to get home in time to cook dinner, do homework and pop in a load of laundry before falling asleep in front of the television. 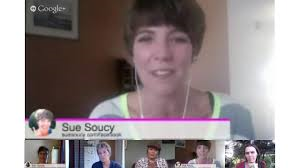 These women are stay home moms, making six and seven figure incomes…which they would never have been able to do in their “jobs”, they are taking their kids to Disney World for the summer – how many people know that Disney is NOT cheap, they are staying in beautiful rented properties on the most beautiful beaches of the world. And they are standing on stage leading woman and men to the same earning power they are experiencing. No gender gap here! I find it most annoying that in this day and age women are still being treated as less equal citizens than men. John Oliver had a great feature on this matter on his show “Last Week Tonight” the other week. and many, many more women who are beautiful, talented and now… Wealthy! Sisters!!! Stand up and let’s not wait for the government to close the gender gap. Let us close it ourselves!! This entry was posted in Uncategorized on October 1, 2014 by The Woman Hood. A Brazilian Town of ONLY women is looking for Men!!! Are you Interested? Come on…it’s time to book your flight ticket to Brazil. This is an really interesting article though. I did say it was for the boys, but really this is some serious Feminism at work. I personally like to have my men around, but even so, I totally support “Sisters Doin’ It For Themselves”. Sometimes they are forced to, and sometimes they choose to, but the point is…They CAN! This entry was posted in Uncategorized on August 29, 2014 by The Woman Hood. See…that is what I would be thinking too! Chunks of Chocolate, chunks of anything good and yummy and sweet to eat. But that is not what we were talking about. The chunks we are talking about here pertain to Goal Settings and Achievement. Say you want to read a certain book. Let’s make it Tolstoy’s War and Peace for the extra challenge. Now we all know you are very busy and so, when on earth are you going to find the time to finish this book. You can barely make it through the newspaper. So you have all of 5 minutes a day to dedicate to your reading project and you can read about 2 pages in 5 minutes. Ok, so you could read 2 pages per day and you will finish all 1455 pages in 727 days, which is about 2 years. Hey, you would have finished the book!! Which is more than most people can say. 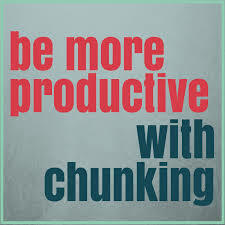 And that’s what chunking really is! Whatever your goal is. Whatever you are intending to achieve. Sometimes you look at a goal and become overwhelmed. It is so big, so out there. Is it even possible?? By chunking it, it IS possible. 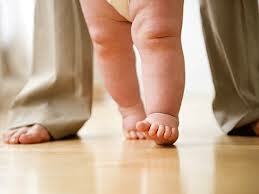 Take baby steps. Do a little bit every day in the right direction and you WILL reach your goal. 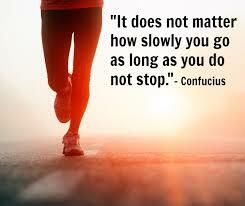 Naturally, this applies to building your online business as well and is a very pertinent message. We all know that there is much money to be made on line. But then we hop into a business and foolishly think that in no time, we will become super rich. You want to make $10000 a month? 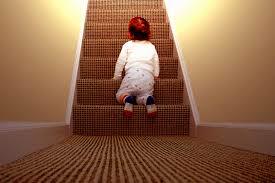 Break it down into steps…how many sales do you have to make to do that? what do you have to do to make those sales? how many hours do you have to dedicate to achieve that? per week? per day? Your first check MAY be a $10,000 check, after all nothing is impossible, but most likely it will not be. More like $100…may be even $25. But that first check of just $25 is the same thing as those first few pages of War and Peace. Baby steps. Bit by bit. 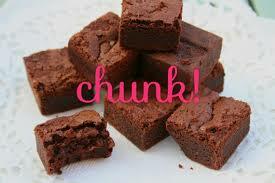 Chunk by chunk….you’ll get there! Another reason and method to chunk is that it if we chunk similar activities together, it will make us that much more productive, because we don’t have to switch gears between activities during a given chunk. This makes it easier to focus, and truly get done what you set out to do in that assigned amount of time. So here’s to Chunking! Now let’s get out there, set some goals, chunk them and achieve them. Write in and let’s see how we are all doing. This entry was posted in Uncategorized on August 22, 2014 by The Woman Hood. I have always had a thing for Medical History and News, (probably because of my own medical background) And this article is close to home for me because I grew up in Nigeria where Malaria was rampant. The developments in Medicine that made this possibly fatal disease so easily treatable were amazing and appreciated. I hope you enjoy this interesting article about a very remarkable individual who was not only a Medical Scientist but was also a mathematician, epidemiologist, sanitarian, editor, novelist, dramatist, poet, amateur musician, composer, and artist. I have also included one of his poems. 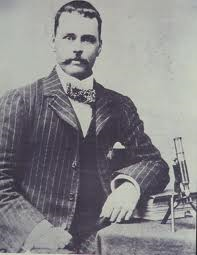 On August 20, 1897, Sir Ronald Ross discovered how malaria is transmitted. ​While dissecting the stomach tissue of an Anopheles mosquito in his laboratory in India, Ross found the malaria parasite and ultimately proved that mosquitos are responsible for transmitting malaria to humans. Ross also studied malarial parasites in birds and identified mosquitos as intermediate hosts for both avian and human malaria.